People sometimes wonder about the impact that one short-term volunteer can make. At first glance, it is sometimes hard to measure the difference one volunteer has made in a few weeks. But when thousands of people donate a short amount of time to the same long-term goals, we achieve massive progress together. We know that with short-term volunteering, the onus is on the organization to provide support and resources. Projects Abroad volunteers work with some of the most vulnerable groups in the world and we take that responsibility seriously. We are proud to provide the structure that our volunteers need to help change communities and explore the world in a meaningful way. 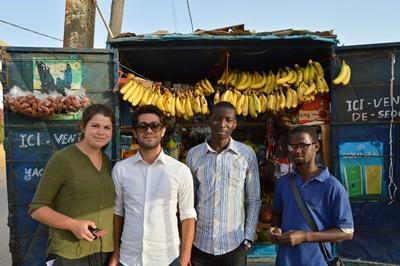 Volunteering abroad is an act of service and an opportunity for self-reflection. The willingness to step outside your comfort zone to help and learn from others is no small feat, and we love connecting people around the world ready for adventure and eager to make an impact. 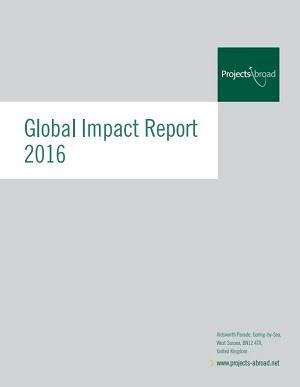 The impact that Projects Abroad volunteers make cannot be summed up in just a few words and examples, so we have put together a detailed Global Impact Report on the many great achievements across all our projects and destinations. Every year, thousands of young volunteers between the ages of 15 and 18 join our High School Special programs to help make a difference around the globe. During their time overseas, they contribute towards achieving long-term goals and make a long-lasting positive impact on the communities where they work. Read our detailed 2018 High School Specials Impact Report to learn more about their achievements. Read about the achievements of the previous year in our High School Special Impact Report for 2017. 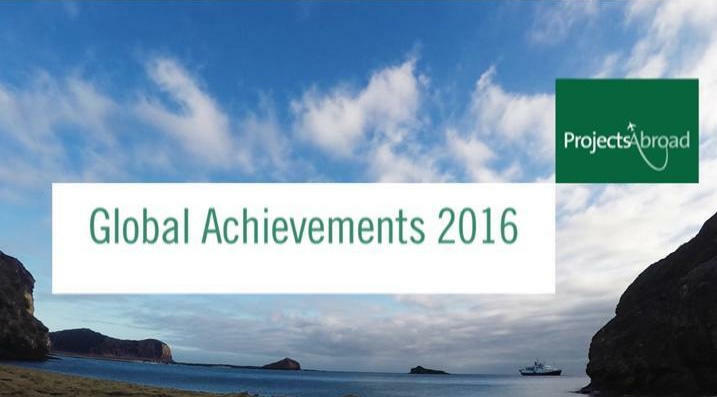 Read about the achievements of the previous year in our High School Special Impact Report for 2016. Hundreds of our placements worldwide focus on the social well-being of the communities we serve. Our volunteers can help in providing support to local teachers who struggle with overcrowded classrooms and a lack of resources, or equip care centres with the tools to encourage and monitor early childhood development. We have established Management Plans for our Teaching and Care Projects that enable staff and volunteers to carefully track the progress of each placement, ensuring that we achieve our long-term goals. Furthermore, in 2015 we launched our Care Database allowing volunteers to monitor children’s development in real-time so that staff and future volunteers can quickly target specific areas of need. 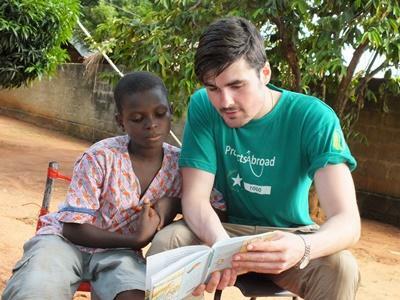 Our volunteers work to increase literacy rates at our projects around the globe, run medical outreach programs to provide primary healthcare services to those in need, and work with partner organizations to provide care for those living with disabilities. Projects Abroad also funds Human Rights centres in four countries. Our Conservation Projects around the world monitor thousands of species in oceans, rainforests, mountains, and national parks. We are able to observe wildlife through unobtrusive means such as camera traps, underwater cameras, and weather stations. Our projects collect an immense amount of valuable environmental data and cover a diverse range of ecosystems. The expertise of our professional conservation staff informs our Conservation Management Plans and allows us to continue collecting valuable data. Human pollution poses a major threat to thousands of species. 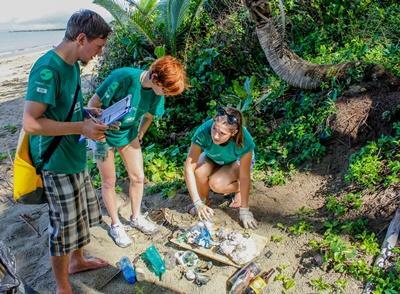 At our Marine Conservation Projects, our volunteers take part in beach clean-ups on a regular basis, clearing masses of debris from the shores and underwater. In 2015, we collected over 8 tons of waste. Similarly, manmade environmental threats can cause irreversible damage to our fragile ecosystems. Our professional conservationists are passionate about restoring balance and protecting native species of flora and fauna. 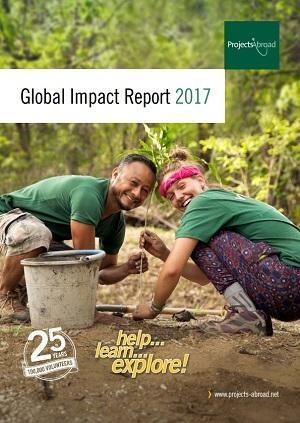 From planting 30 000 mangrove seedlings in Fiji, to reintroducing the spider monkey in Taricaya, Peru, our volunteers make a tangible difference and together we set an example for other organizations and conservation centres around the world. Another large part of our conservation work is community education. Our volunteers run workshops in schools and communities, raising awareness about the dangers of pollution and encouraging sustainable practices and active engagement among locals. We have numerous projects around the world that help improve the economic standing of communities and people in need. Thanks to the continued support of our volunteers we have been able to provide resources to our projects across the globe, and boost the economic growth and activity of the underprivileged communities we support. Through our Microfinance Projects, volunteers train beneficiaries on book-keeping, marketing, and fiscal management. These loans have allowed small business owners to escape harsh working environments, gain independence, and grow existing businesses in developing countries where loans and financial assistance are hard to get. Beyond the skills of our volunteers, we recognize the need for material assistance. We are now able to respond to an immediate demand where availability and affordability of resources is scarce. In 2015, the Projects Abroad community donated over half a million dollars to our placements, multiplying the effect of our volunteers’ work in-destination. 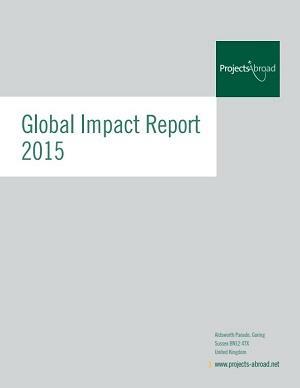 Our Global Impact Database is a way for us to track the progress and success of the work our volunteers do. It is also a tool for us to make sure that we have identified what local communities need, what will benefit them most for the long-term, and how to best direct our resources. Read more about the purpose of the database and how it works.